Code.org is selecting United States-based organizations, as partners, to help spread computer science in a local, sustainable fashion. The goal of the Regional Partner program is to help each organization establish itself as a K-12 computer science hub for their region, offering professional learning opportunities for teachers and building a strong local community. In the long run, the expectation is that each partner organization can sustain this work independently of Code.org. To begin the partnership, each partner's Program Manager will attend a 5-day Regional Partner Program Manager Onboarding Program in the Summer 2019 to experience Code.org teacher professional development first-hand and host or support a 5-day local summer workshop for teachers. In the fall, the partner will attend our Regional Partner Summit, an experience designed to welcome Regional Partners to the extended Code.org family. In addition, we will provide funding based on demonstrated need to help each organization establish itself as a local Code.org Regional Partner. The ideal Regional Partner is a U.S. based regional education unit, a nonprofit, or a university with existing, positive relationships with nearby school districts and the local education community. Provide a dedicated Regional Partner Program Manager who will participate fully in onboarding & ongoing program management responsibilities (at least 0.65 of an FTE’s time - this can be shared across one or more staff members). Attend our Regional Partner Summits in the fall and spring. Establish partnerships with local districts and schools to commit to send teachers to computer science professional learning workshops. 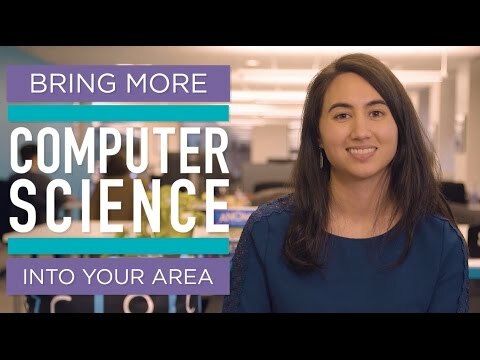 Build, grow, and sustain a local community of computer science educators (or join an existing community). Establish and implement an annual fundraising plan and goals to ensure program is fully funded locally by June 2020 through any combination of state or federal funding, cost recovery (fee-for-service), and grants or sponsorships. Set and meet detailed metrics on: growth of teachers and students in the region, implementation of courses, diversity, teacher participant data, and quality of workshop. Appropriate levels of Code.org funding needed for the first year of partnership by evaluating funding needs and funding opportunities in your region that can support and sustain this work. Coaching and tools for the Regional Partner on teacher recruitment, facilitator capacity, funding, regional CS expansion, workshop quality, diversity, and community building and reputation. Support for the Regional Partner community, including hosting Code.org Regional Partner Summits during the length of the partnership. Ongoing facilitator development and support through in-person and virtual training events. Click here to see a more detailed term sheet with program details. Click on a location for more information on the region and the Regional Partner who serves that area.